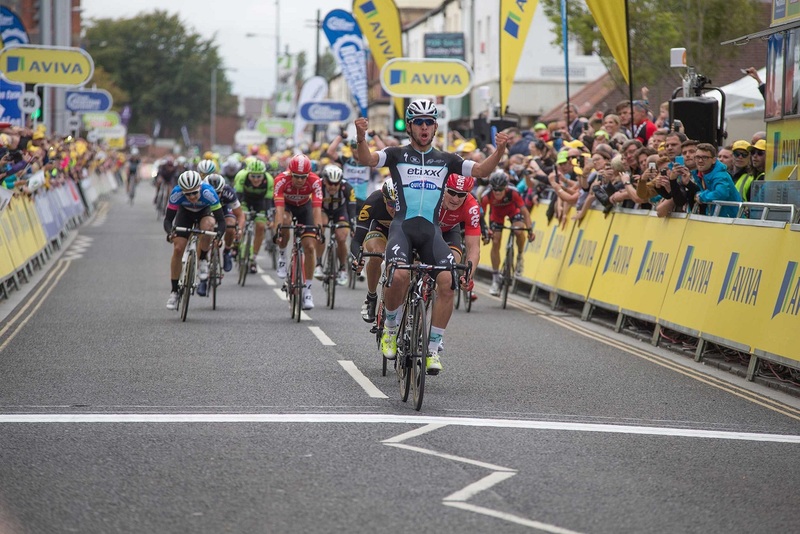 Etixx-QuickStep’s stagiaire Fernando Gaviria made it two wins from four stages for the Belgian team, showing a great sense of timing to overhaul stage favourite André Greipel on a damp day in Blyth. It was the Colombian’s fifth win of the season, the third since joining Etixx-QuickStep. Another two came at January’s Tour de San Luis, beating the man who helped him win today, Mark Cavendish. The manner of Gaviria’s victory was impressive, as he came from a long way back in the sprint. 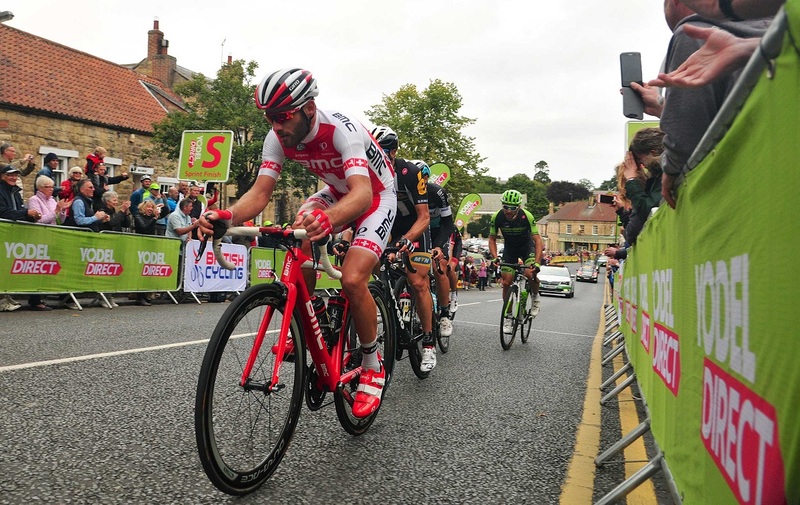 Team Sky and Lotto-Soudal had done the lion’s share of the work in the final ten kilometres, with Etixx-QuickStep less prominent on the run-in as they had had Matteo Trentin in the main break of the day. Four-time Tour de France stage winner André Greipel (Lotto-Soudal) was the first to hit the front, and it looked as though Edvald Boasson Hagen (MTN-Qhubeka) would be his only competition. Gaviria had other ideas though, and hopped into Boasson Hagen’s slipstream before speeding past on the outside to ease to victory.